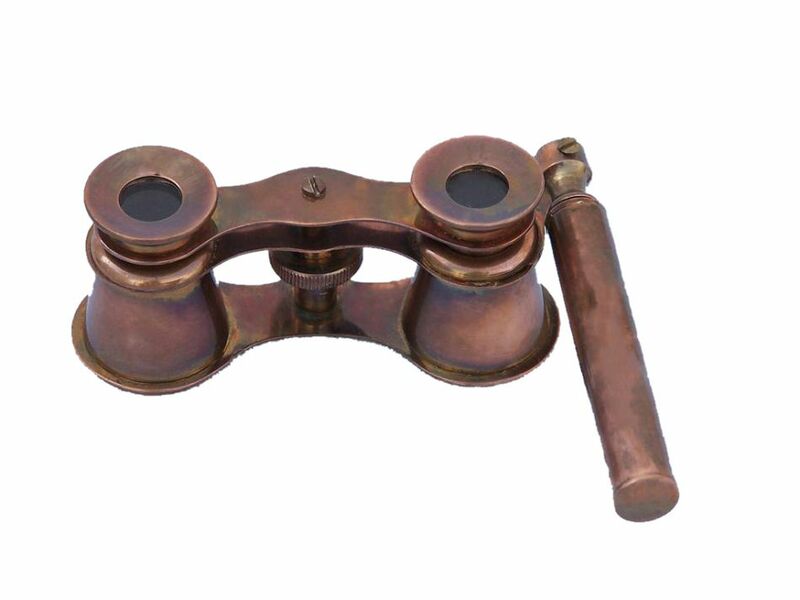 The Hampton Nautical Antique Copper Binoculars with handle is a pocket sized nautical treasure. This is a perfect gift for the nautical navigator or the theatre fan in your life. Focusing is accomplished using a knurled focusing ring on top of the binoculars. These binoculars have in-line prisms for improved field of view and have precision ground glass 1.75 inch (44 mm) diameter objective lenses. The antique copper handle rotates to enable you to focus the binoculars up or down. The Hampton nautical antique copper binoculars with handle also comes with a handmade leather case.